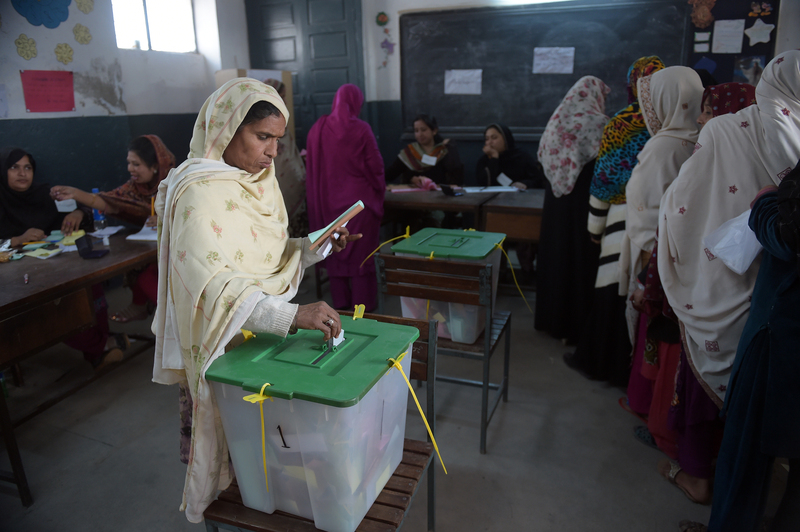 PESHAWAR -- This year's general elections heralded a new era in voting patterns as many Pakistani women, whom social and cultural norms previously barred from voting, took to the polls for the first time. For many women, voting in general elections was once just a dream. The influence of religious extremists, harsh social and cultural norms and even agreed-upon bans by local political parties often meant women seldom came out of their homes to vote. Women made up 44.1% of eligible voters for Pakistan's general elections, which took place July 25. The Election Commission of Pakistan (ECP) lent its support, mandating a 5% quota for women running for national seats in the general elections, as well as reserving seats for women in both the national and provincial assemblies. The ECP also made clear it will void results in constituencies where female voters make up less than 10% of the total. Human rights observers, women's rights activists and Pakistani women welcome the measures, calling them a milestone in granting equal rights to women. Women in many parts of Upper Dir District voted for the first time since 1977. Such was the case in Athens Kot village, Zahid Jan, a journalist with SAMAA TV, told Pakistan Forward. Scores of women also lined up to vote in the Sangor Neha Gadara, Jagam and Jania areas of Upper Dir, she said. Women also cast ballots for the first time in Baizai Tehsil of Mohmand District, along the border with Afghanistan, Fauzi Khan, a journalist working with ARY News, told Pakistan Forward, adding that local tribal customs and militant threats had previously kept women from voting. The same turnout could be seen in Kotkai, South Waziristan, the hometown of deceased Tehreek-e-Taliban Pakistan chief Hakimullah Mehsud, for the first time since 2002. Women in other parts of the former tribal agency cast their votes under strict security, according to local officials. In Kohistan District, KP, more women turned out to vote in Lower Kohistan, Kolia Palak Kohistan and Upper Kohistan than in previous years. In Thar, women achieved a milestone, recording highest turnout of almost over 70 per cent in two constituencies. During the previous 2013 elections, political parties including Jamaat-e-Islami Pakistan (JI) faced accusations of thwarting female voters, but this time was different. "The JI women's wing is actively pressing female voters to come out," Siraj ul Haq, the head of JI who ran for a National Assembly seat in Constituency NA-7 (Lower Dir) and lost, told Pakistan Forward. 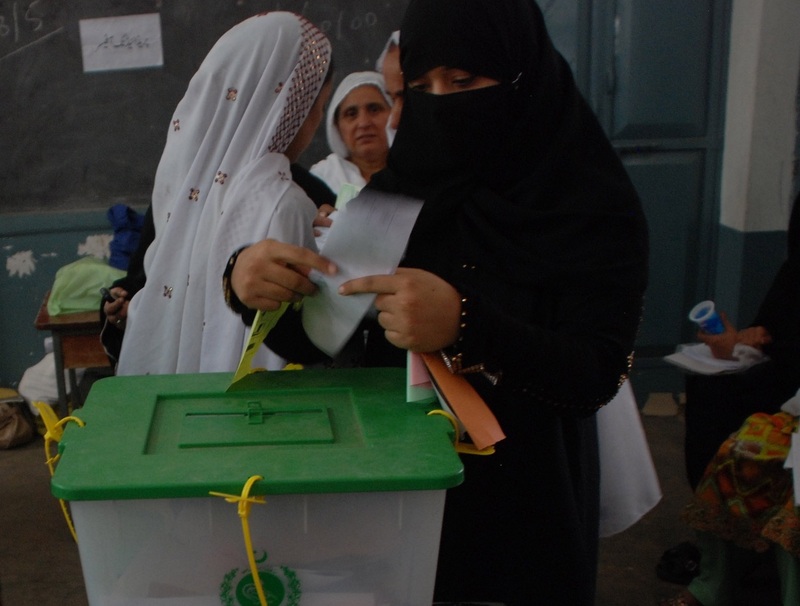 "It is a good sign women are voting for the first time in FATA and some areas of Dir, where previously they were barred," said Shabeen Ayaz, the KP resident director of the Aurat Foundation, a women's rights watchdog. "It will encourage more to come forward," she told Pakistan Forward. "Women know they are breaking societal and cultural taboos. It is an encouraging sign that they are on the path of empowerment and equality." "Things are changing now," said Sumera Shams, who just became the youngest ever member of the KP Assembly. PTI has always encouraged women, especially young women to vote, and the recent victory of PTI partly stems from its policy of giving equal rights to women in all walks of life, she said. Despite the achievements gained in this year's elections, challenges remain. For example, women who had pledged to defy men in their village by voting for the first time ultimately did not exercise their democratic right the recent election, citing intimidation by their husbands. Male elders banned females from voting in Mohri Pur, some 60 kilometres from Multan, around 1947 and the women have obeyed ever since. Some 3,200 women were listed on the electoral register in Mohri Pur -- but not one voted, according to election officials. "We have threats from our husbands that they will divorce us if we cast our vote," 25-year-old Tanya Bibi told AFP as she walked past the polling station, without going in. 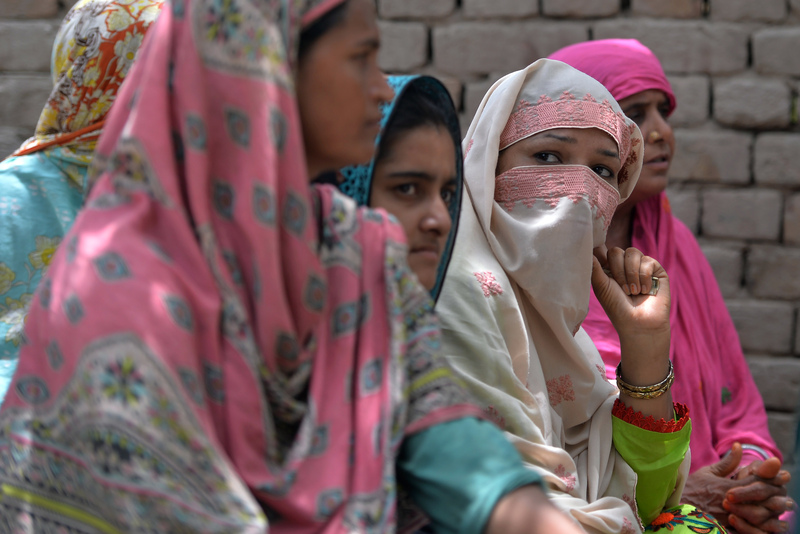 "We are here to cast our ballots, but our women didn't cast their votes because it is our old tradition which we have been preserving," Muhammad Shamsher told AFP. Even Qasir Abbas, a lawyer who campaigned for the women's vote, said in the end he did not bring his wife to the polling station, explaining: "I was afraid ... the villagers might boycott my family." Bismillah Iram, from a local NGO, said announcements were made from the village mosque warning that women should not come to the polling station.